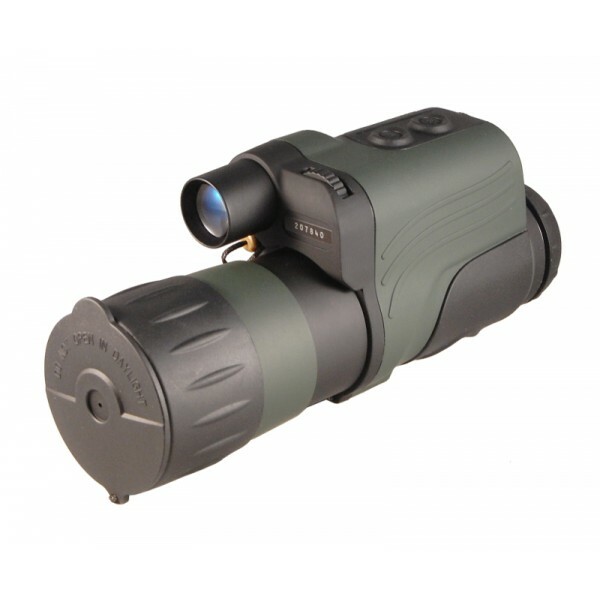 The brand-new LN-DM5-HRV digital monocular combines powerful 5x image magnification and affordability in one lightweight package and now comes standard with brand new High-Resolution full-color display and standard Video Output allowing you to see more and better than ever before and providing new opportunity to view and record images on external video monitors and recorders! Featuring all-digital operation (no tube inside), this product can be used day and night without fear of burning the internal components in bright light. 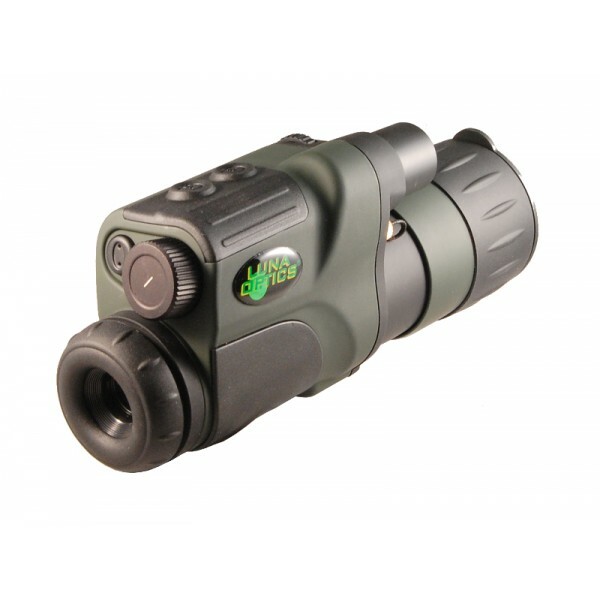 Built-in powerful IR illuminator allows user to peek into the darkest corners at nighttime and a precision brightness control allows to fine-tune the image depending on the available light and preserve the battery power in well-lit conditions. LN-DM5-HRV features large full-color display with nearly 2.5x higher resolution than the previous model, for ultra comfortable viewing. Includes a variable brightness toggle wheel, plus ambidextrous one-touch Power and IR illuminator push-buttons with individual light indicators. Attractive duo-tone rubberized body finish is pleasant to the touch and provides secure grip. 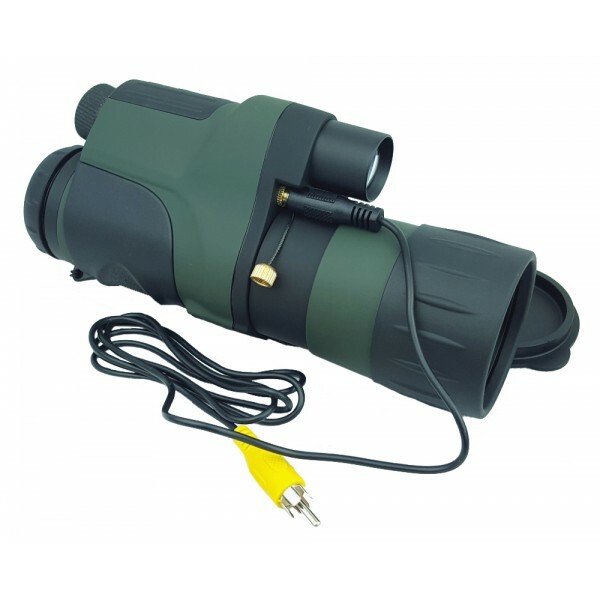 Monocular comes with the video cable, carry case allowing shoulder or belt carry, and the attached wrist strap. 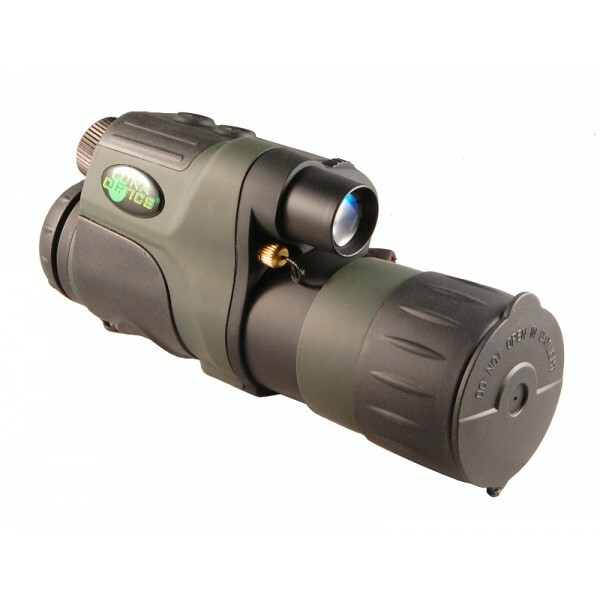 Digital night vision operates with batteries. 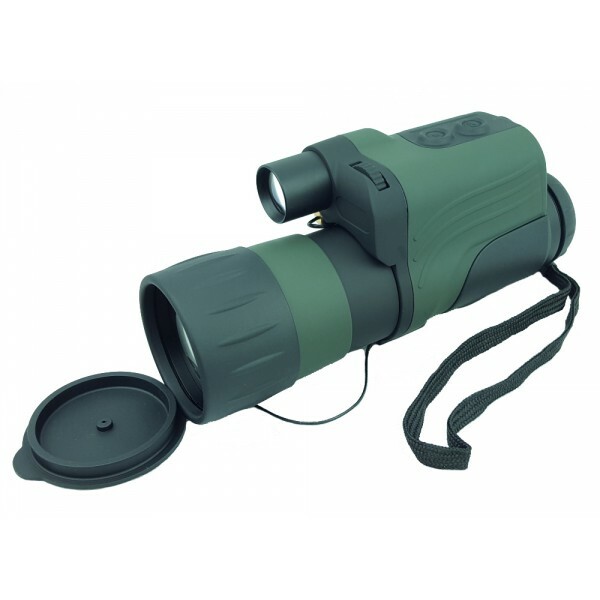 Unlike a daylight binocular, where you see the image due to light traveling through teh glass and prisms, the digital night vision device works by projecting the image onto an LCD screen. 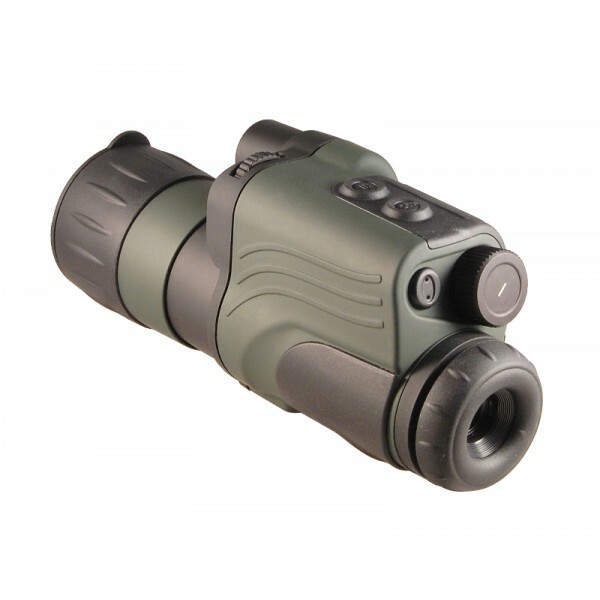 While the CCD and the LCD are the curcial components of your viewer, the optical components of the unit are also very important, as they gather the light into the CCD and bring the projected image from the LCD screen to our eye. Since the image is projected on the screen, just like any TV, it has certain limited resolution. 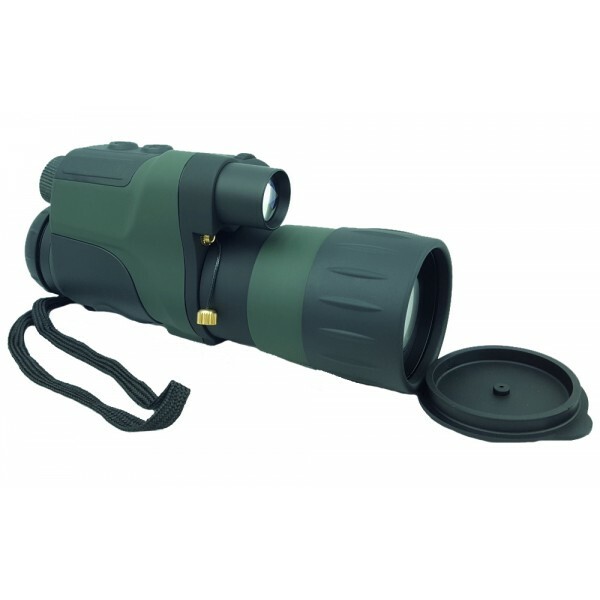 Digital night viewers cannot provide the same crystal clear image that you would see through conventional daytime binoculars. They are designed to be used in a dark environment, where your vision is very limited. Color digital night viewers have color capabilities, but some colors may not be true reproductions due to limitations in CCD resoloution and color reproduction ability. This will be most apparent when the IR illuminator is powered on and in use. This is considered normal and is not a defect. Digital viewers are designed for operation in dark conditions, but they can also be used during daylight hours. Please note that during daylight, you will have to reduce the brightness level of the unit to prevent the image from being washed out.